Society for Worldwide Interbank Financial Telecommunication (SWIFT), notably renewed for collaborating with the global financial community to reinforce security and deliver upon payment innovation in the live environment, has yet again augmented the security of the sector by creating a security baseline for all SWIFT users; through the SWIFT global payments innovation the mandatory upgrade in 2018. This is an essential requirement in line with the changes made in the Global network of SWIFT. 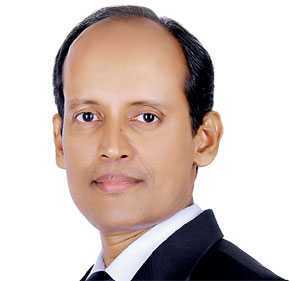 To this end, Lanka Financial Services Bureau Ltd. (LFSBL), proven experts of SWIFT infrastructure in Sri Lanka, ended the year on a high note as they celebrated the landmark initiative of successfully migrating to global mandatory standards of SWIFT Interface in August 2018, much before the target date November 2018 to ensure that SWIFT services remained uninterrupted. The aim of the upgrade as per SWIFT is continued provision of highly secure and efficient SWIFT service for in the years ahead. The most notable feature of the initiative became the seamless migration where zero incidents in terms of connectivity including Central Bank. The Chairman, Lakshman Silva noted that the planning, execution, teamwork and the SWIFT Expertise hired were key contributors for this success. 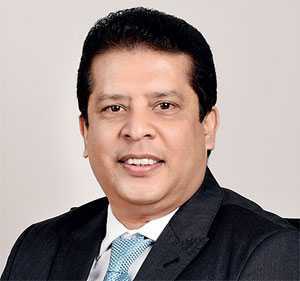 “This state of ‘ZERO’ incidents has enhanced the confidence of the connected banks and financial institutions, including the Central Bank of Sri Lanka and facilitates continued business operations as usual without feeling the ‘transition’,” he said noting the significance of the initiative to the wider banking community in achieving the mandatory standard by SWIFT. LFSBL also records a few changes on the SWIFT Shared Infrastructure and network with new hardware in migrating from Windows platform to Red Hat Linux Enterprise platform which has been a colossal investment after 11 years of operations. “The migration to Linux platform enhanced the level of Cyber Security in accordance with SWIFT standards of the Shared Infrastructure program of SWIFT and the robustness of the network. This is a significant step in terms of security enhancement which have been complimented with several other security enhancements,” said LFSBL General Manager/CEO Mihindu Rajaratne. The Technical team at LFSBL, led by the Manager – SWIFT Operations Hasitha, outlined the features and benefits of the migration initiative as being additional robust security and compliance and the assurance that refreshed technical platform will provide a stable environment for the years to come. The team encouraged the banking sector to take active steps to complete their migration as soon as possible to comply with global security best practices.